We can’t change reality, but we can change the eyes that we see reality with—and we’ll be able to do this with smart contact lenses. Smart contact lenses sound like something out of Star Trek, but they’re coming much sooner than you might think. What makes them smart, you ask? The depth and breadth of their potential abilities are stunning: they promise extraordinary vision, video recording, augmented reality, and real-time health information. This is just the beginning of something big. The high tech industry is poised to revolutionize the way that people interact with the world, and investors, manufacturers, tech gurus, and geeks alike are salivating at the possibilities. Numerous companies are hard at work to develop smart lenses. Some heavy-hitters include Sony, Samsung, and Verily (Alphabet’s life sciences division). Although it may be some time until smart lenses are widely used, one thing is certain: they are inevitable. The most basic function of contact lenses—improved vision—would be the cornerstone of any smart lens. Multifocal contact lenses and lenses that treat migraine headaches from Orion Vision Group are already on the market; lenses that respond to external stimuli are next. In Verily’s version, for example, the lens would be surgically implanted into a person’s eye, taking over the lens’s job of focusing light and improving vision dramatically. There are many other lenses in development. For example, scientists at the University of Wisconsin have developed a lens that instantaneously focuses the eye. 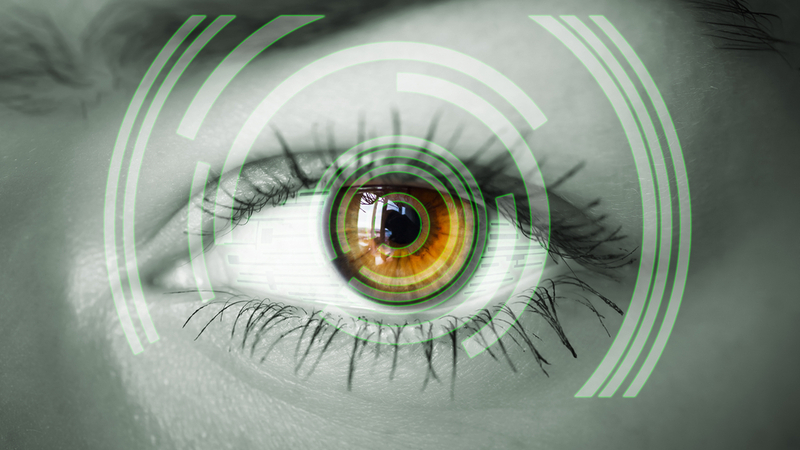 Electric sensors change the focus of the lens in a fraction of a second when they determine the eye needs to focus. These lenses will potentially be produced by Deep Eyes, a company based in Israel. Additionally, researchers at the University of Michigan are working on lenses that will allow people to see in the dark—something that certainly makes the Pentagon’s ears perk up. Improved eyesight, though, is just the first step. They’ll allow for huge revolutionary recording capabilities. Sony and Samsung have both filed patents that relate to video-enabled lenses. Sony’s smart lens allows you to record video by blinking your eyes. According to Sony, their lens is able to tell the difference between voluntary and involuntary blinks—something that Google Glass has already done: with Google Glass, you wink to take a picture. Videos taken on Sony’s lens would be stored directly on the lens itself, while the lens would be powered by energy captured from eye movement. Every other part of a camera would be represented in miniature form on the lens. Samsung’s lens, like Sony’s, would allow its wearer to take videos by blinking. Unlike Sony’s, however, Samsung’s would send its information over to a smart phone rather than storing it directly on the lens. Samsung’s lens would also feature a miniature heads-up display directly on your eye, allowing for a mixture of normal vision and augmented reality. The mixed-reality field is one of the most enticing elements of the smart lens revolution. Designers envision a future in which you can get information on people, stores, or objects around you all in the literal blink of an eye. Imagine looking at a person while their social media bio appears in a heads-up-display fed directly to your eye; or see a storefront and get ratings, reviews, and recommendations instantaneously. Augmented reality—already a growing trend through smartphones—would be revolutionized through its transfer to lenses. It would be a dream come true for advertisers, who could post eye-catching ads to targeted customers anywhere they liked. Interacting with the world through a heads-up display is something we will likely encounter in the not-too-distant future. Smart lenses may have many practical medical uses as well. Multiple companies, including Verily, are focusing on making lenses that can help a wearer be aware of their health. A major current focus is on diabetics, who need to constantly monitor blood glucose levels. Medella Health, a Canadian startup, has thrown its hat into the ring as well to challenge Verily. They’re also attempting to produce a lens that measures glucose levels, but claim theirs will cost a mere $25 per lens compared to $200-300 for Verily’s. Glaucoma patients could benefit from the biomedical side of smart lenses as well. One problem glaucoma patients face in monitoring their intraocular pressure (IOC)—the main cause of glaucoma—is that intraocular pressure is higher at night, when most people are sleeping and are certainly not going to the doctor. A 24-hour monitoring system of a glaucoma patient’s IOC will help them get more realistic readings and can help their doctors make better diagnoses. One can imagine the other uses of lenses that monitor vital signs: users can easily keep track of their sodium, potassium, cholesterol, or even blood alcohol levels. Wearers could get feedback on the quality of their sleep, their caloric expenditure during exercise, their daily caloric needs, vitamin deficiencies, heart rate, and liver function. It’s unclear how quickly smart lenses will become sophisticated enough to monitor multiple vital functions, but if recent history is any indication technology is miniaturizing and becoming more complex at an astonishing rate. Although we’re not there yet—most of this technology is still under development—one can expect that smart lenses will be hitting markets soon. Smart lenses have the potential to fundamentally transform the way in which people interact with the world. Who knows what they’ll be capable of in the future? For more information on high tech lenses that are available today please feel free to contact us.